Four years ago today, self-styled jihadists burst into the Paris offices of Charlie Hebdo and shot to death 10 members of the magazine’s staff and also a police officer and security guard. Immediately after the massacre, countless people took to the streets to remember the fallen journalists. Globally, on social media, many echoed the slogan ‘Je Suis Charlie’ in solidarity. A group of survivors and families of victims of the 2015 Paris terrorist attack at the Bataclan concert hall in Paris has filed a lawsuit against the French state over its response during the police operation that night. The group which includes 17 victims and families of victims wants to know why eight soldiers from the “Sentinelle” anti-terror patrols armed with assault rifles, who were outside the concert hall while the massacre was taking place inside, were told by their superiors not to intervene. According to La Parisien, police officers present at the time asked the soldiers to lend them their weapons but stuck to army protocol and refused to hand them over. The defaced portrait of Tignous, one of the artists killed in the Charlie Hebdo Muslim terrorist attack. An Islamic State militant linked to the deadly 2015 attack on French weekly Charlie Hebdo could be still be alive, the Iraqi military said on Saturday. Boubaker el-Hakim was reported by American defense officials to have been killed in November, in a U.S. drone strike in Raqqa, Islamic State’s de facto capital in Syria. Iraqi intelligence supplied information to the Syrian airforce to carry out a series of strikes on Islamic State headquarters and hideouts in Syria, including one believed to belong to el-Hakim, an Iraqi military statement said. Of course, he attempted to lie about it, which is routine for Islamic supremacists. Tariq should not only be fired, but charged with inciting violence. The imposition of blasphemy laws is already happening in the West, with real threats of murder toward anyone who dares to insult Muhammad. What’s worse is that Tariq has spread his hate to children, and did so only days after the Charlie Hebdo massacre. Two Israeli caricaturists had their drawings censored at a Tel Aviv exhibit to commemorate last year’s terrorist attack on the Paris offices of French satirical magazine Charlie Hebdo, Hebrew-language media reported on Sunday. The works were allegedly censored after the French Embassy expressed concern over their portrayal of the Prophet Muhammad, both Globes and NRG reported. 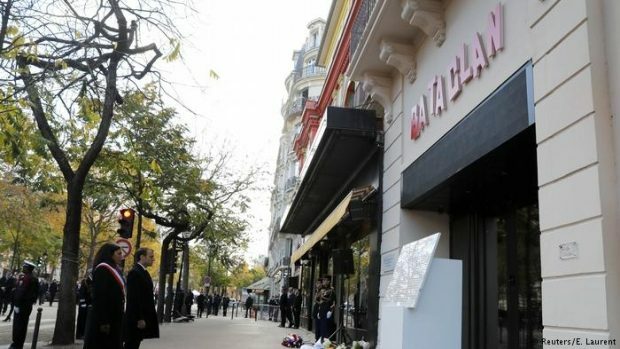 President François Hollande led a brief, sombre and subdued ceremony in front of a sparse crowd on Sunday to honour the 17 people killed in the terrorist attack on the satirical newspaper Charlie Hebdo a year ago. It was the culmination of a week of memorial events and tens of thousands of people had been expected. Yet only a few thousand, at most, gathered under grey skies in the Place de la République. It marked a stark contrast with the million-and-a-half who joined a march led by world leaders in Paris on January 11 last year, when “Je Suis Charlie” became a rallying cry around the world. In Place de la République, the Paris square that embodies France and calls to her in her hours of need, the country’s biggest rock star is to play an anthem called Une Dimanche de Janvier (A January Sunday). Johnny Hallyday’s song is about that unforgettable Sunday following the Charlie Hebdo massacre a year ago. Millions marched, outraged and defiant, against the slaughter, in an outpouring of national unity. But what a long difficult French year it became, culminating in the horrors of 13 November(and the prospect of further killing last week when a fugitive gunman from that second wave was shot on Thursday). The Socialist president, François Hollande, deploys the term “national cohesion”, but only panicked tactical voting – national unity of sorts – in a second round of regional elections prevented the divisive forces of the Front National from taking up to six departments it had won in the first. The new Charlie Hebdo cover is feeble. God with a machine-gun, looking over his shoulder, and the line ‘The Assassin is still at large’. It makes Richard Dawkins look nuanced. Religion is to blame? All religion? It feels dishonest, timid: a refusal to face the fact that it’s a particular form of religion that is the problem. In fact satire in general is pretty feeble, when it comes to religion and terrorism. Satire is good at attacking established power, and religious terrorism is obviously an intensely marginal thing – far more marginal than satire itself. There is a wider target: Islam in general, but in the West this too is more marginal than satire. So it suits satirists to see religion in general as the problem: it can then seem like they are bravely attacking something strong. 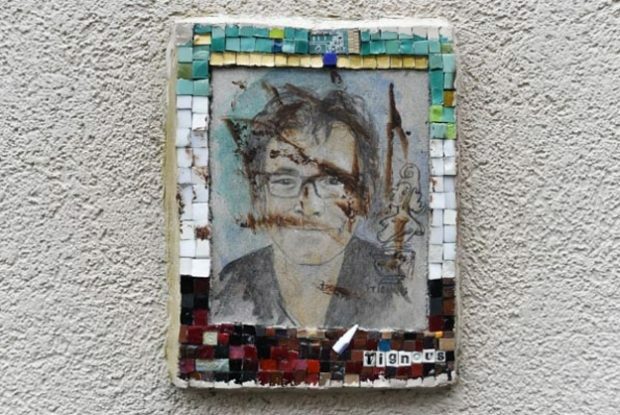 Police were warned that one of the Charlie Hebdo gunmen had turned up three months before the attack to say it would be targeted, it has been reported, as French film stars leant their weight to the satirical magazine’s anniversary edition a year. The magazine’s release came as fresh details emerged of alleged security failings in the run-up to the attacks, which have prompted the widows of two victims to file criminal complaints. Victims of last year’s terror attacks in January have been awarded the Légion d’honneur, France’s highest honour, together with five people who played a pivotal role during the three day siege. Meanwhile, four men who helped thwart a terrorist attack on a French train back in August have also been honoured for their heroism.